I am head over heels in love with this top. 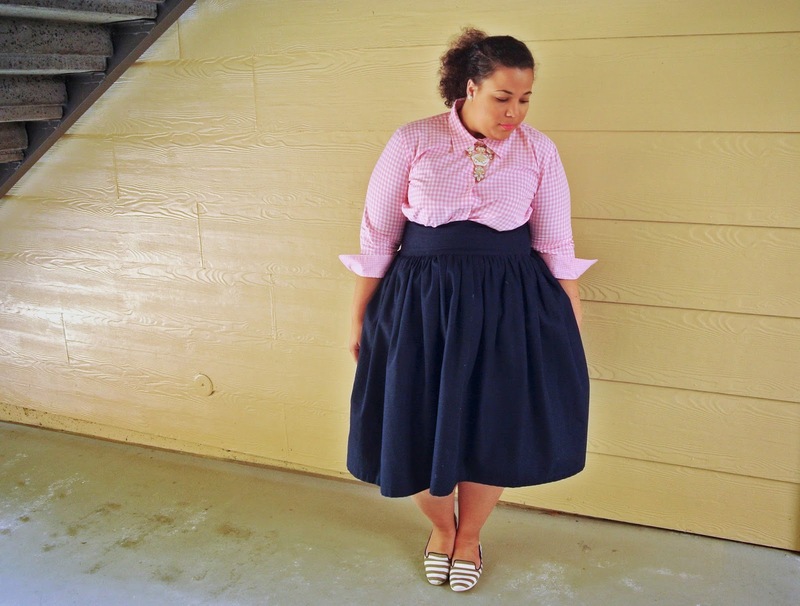 Some of your may remember me featuring in the Spring Staples post. I've probably worn 20 times since I bought it. It's a classic print in a beautiful color. The peplum style makes it easy to wear in multiple ways. Style Notes: There is no stretch in this shirt...I repeat there is no stretch in this shirt. LOL. I ended up buying the size 22 because I was worried about the lack of stretch in the arm areas and I was right. This left the top being too large in the bust and waist. If you don't want to have to take everything to the tailor you can do some of the things I did above to give it a more tailored look. You see that I added a belt, tucked in, and tied my shirt up. These all took some of the volume out of the body part. I haven't yet, but I will probably have this shirt taken in. Because I love and wear it so much, I would definitely like to get that perfect fit. This is definitely one of my staples for the spring/summer. Hi,Ciao...charming look(s)! 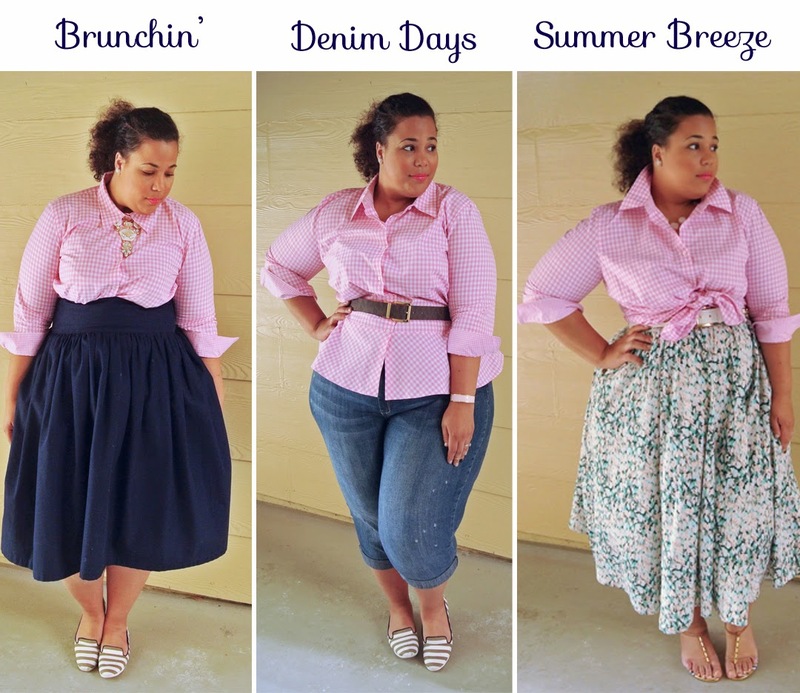 the top is cool on you,like especially the ensemble at bottom(gingham6)...Your Style is Great! So cute!!! Love all the looks Chastity! Love the looks are so stylist! Love this! This type of shirt will definitely be added to my list of things to keep my eyes open for at thrift stores. I love all the looks. .The strip flats from Steve Madden are they a current brand this year...they are really cute. Hi!! I LOVE all of the looks but I'm in love with the floral skirt, however I can't find it online. Where can I find it PLEASE HELP!!! 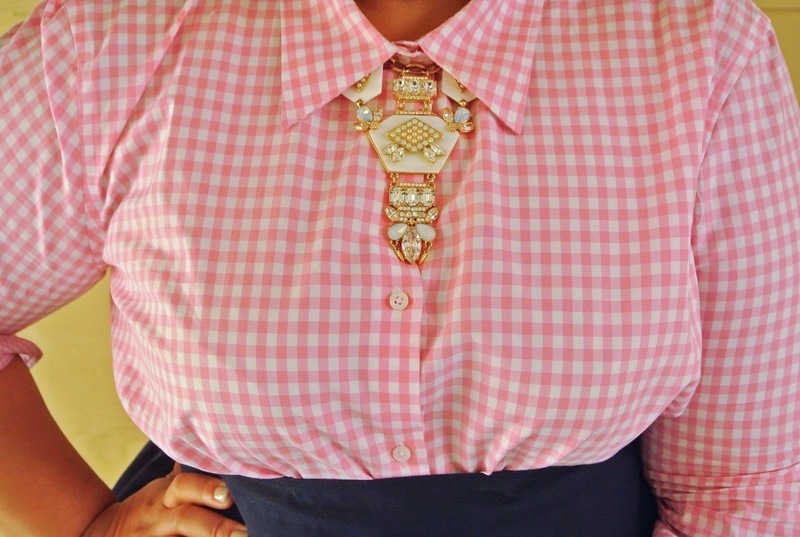 Gingham always looks so crisp & fresh. Lovely! I love gingham! However, I'm not loving the fit of the navy skirt. I guess the wide waistband isn't doing your figure justice. 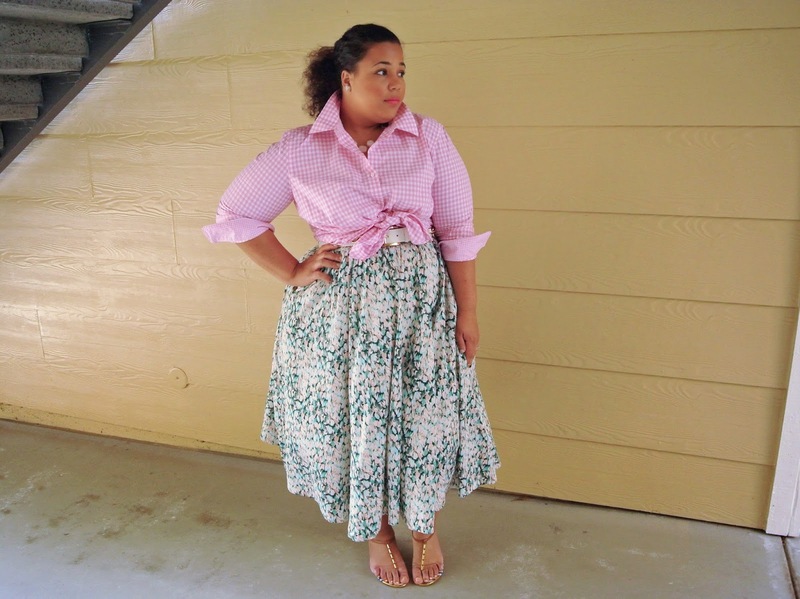 I want that floral skirt! Hi! I'm Paula and I´ve just started to write a blog. Here I let you the link to visit it, take a view and help me with this. Thank you so much! I love all the looks ! I better run and find that H&M skirt. I love the middle look, the peplum tucked into the skirt was a miss for me. Nice job chastity. I love all three of these looks! You made this shirt extremely versatile. Great job! I love when you style a piece in several different ways. It really helps inspire me!